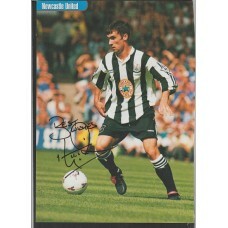 Signed picture of Keith Gillespie the Newcastle United fooballer. 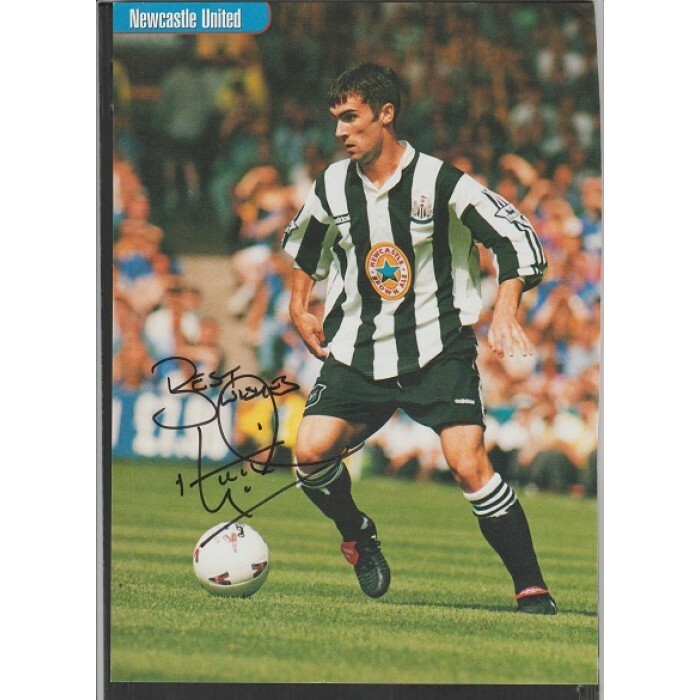 Home » Signed pictures » Signed picture of Keith Gillespie the Newcastle United fooballer. Keith Gillespie. This is a terrific A4 size colour picture of Keith Gillespie the Newcastle United fooballer. This picture is taken from a football book of the time and has been hand signed by Gillespie in fine black pen. He has provide a great example of his autograph. Gillespie began his career at Manchester United after winning the FA Youth Cup in 1992, before moving to Newcastle United, where he played in the UEFA Champions League. Gillespie also played in the Premier League for Blackburn Rovers, Leicester City and Sheffield United, helping the former win the Football League Cup in 2002. Gillespie played 113 league games for Newcastle United between 1955 and 1998, he also won an impressive 86 caps for Northern Ireland.